As part of my primary research for this brief, I was to learn how packaging works, and what nets are appropriate. 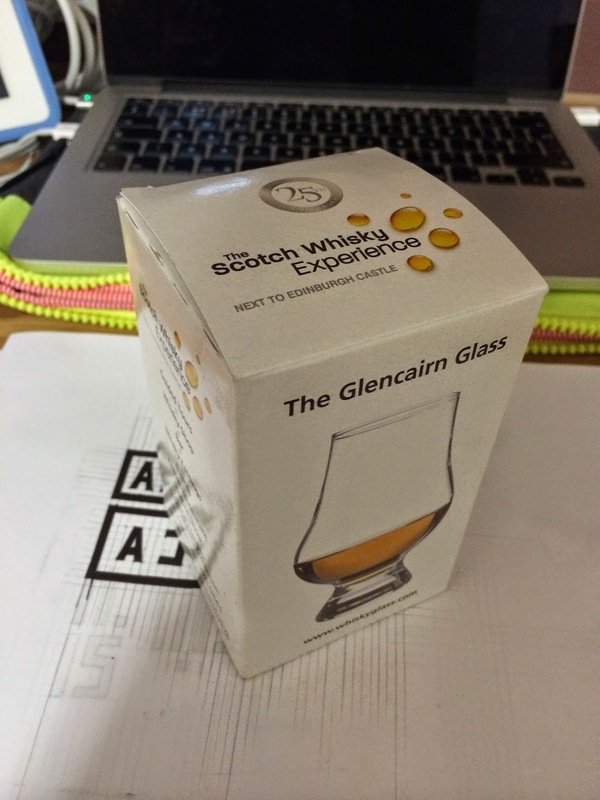 I decided to dissect a small box, which originally housed a whiskey glass from the Scotch Whiskey Experience, in Edinburgh. The net is connected along the long edges of the box, rather than being connected by the base or the lid, like I did in the mock up. The net also demonstrates how the bottom of the box is joined, and how the lid is connected, in a manner which it can be easily opened. The full assembled box. It's rather sturdy and well put together. It doesn't feel flimsily or unstable. Obviously due to the stock there is some give in the structure, but that's an issue across the board with packaging design. The base of the box shows how the end pieces fold, for the strongest possible base to the net. I really think this is the best net for this project, and the net I will modify for my packaging.